The Rockwood Theatre at Sibaya unleashes an all-new show in January 2019. 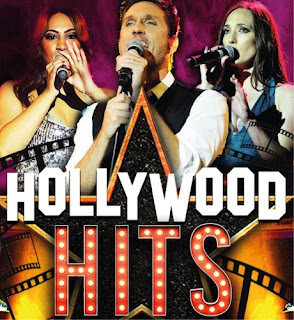 Launching with a bang on January 31, 2019, Hollywood Hits is a vibrant and nostalgic tribute to the most popular songs from the greatest movies to ever hit the big screen; songs that have become as iconic as the films themselves. Show-goers are in for an unforgettable journey and rock to the music from movies of the 70s, 80s, 90s and beyond. From the hip swaying 70s when John Travolta starred in Saturday Night Fever, dancing to anthems like Night Fever to the timeless classic Grease with unforgettable hits like You’re The One That I Want and Greased Lightning. From the 21st century, there are the catchy songs from the likes of Rock of Ages and Mama Mia! but space has been kept in the show to highlight the epic music from the most recent musical blockbuster, The Greatest Showman. Hollywood Hits stars a formidable 10 piece cast of performers and musicians who will blow audiences away with their tremendous showmanship. Discover the entertaining world of Rockwood Theatre, set within the iconic complex of Sibaya Casino & Entertainment Kingdom. The magnificent 360-degree style event venue is designed to deliver the best possible entertainment experiences. Be immersed in this amazing live show venue; perfect for fundraisers, private and corporate functions. The venue opens at 18h30 for dinner service, with show commencing at 20h00 on Thursdays to Saturdays and 14h00 on Sundays. Rockwood Theatre Sibaya now accepts Edgars Thank U account cards for in house production ticket purchases. Tickets can be booked at www.rockwoodtheatre.co.za or 031 161 0000.